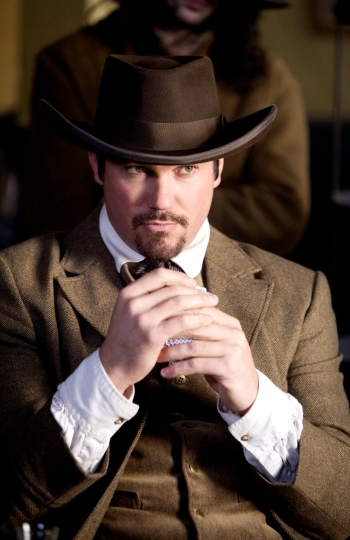 Dean Cain calls to chat about single fatherhood and how Superman grappled with The Gambler, the Girl and the Gunslinger . For one, Dean Cain fulfilled a lifelong dream. the actor, his gorgeousness as a person goes way beyond his dashing good looks. dad and decided to dictate his career direction solely based fatherhood. 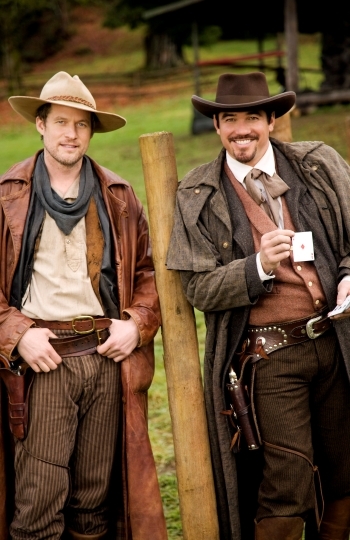 Cain is back on television in the Hallmark original film, The Gambler, the Girl and the Gunslinger that airs July 11 on the Hallmark Channel at 9 pm. Dean gave SheKnows a ring from his Colorado ranch to discuss all of the above and much more. SheKnows: For you, versus other experiences, the Hallmark movie is an entertainment institution in some way. SheKnows: What has it been like for you to join that lineage? Dean Cain: I’ve done four films for Hallmark. I’m used to that (laughs). Lineage, I like that. I like being a part of that. I like doing a quality project. Hallmark is quality and you know it’s going to be a quality project. I love to be associated with them. SheKnows: This particular film, The Gambler, The Girl and the Gunslinger, it looks from the outside that it would be a blast to make. Was it? rain. I was cold constantly. Sometimes we were wearing (yawns)…excuse me, I was up at 6 o’clock this morning after a long night of daddy duty. 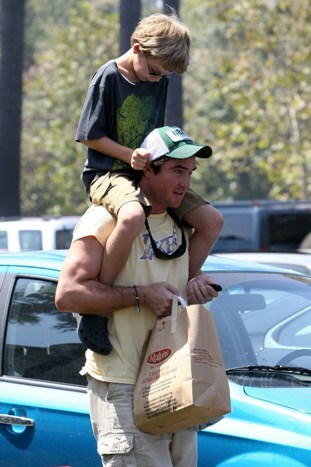 Dean Cain: My son would not go to bed last night. And I started this morning at 6 am. wash my face and go right to work. I had a hat on. I never had to worry about my hair (laughs). You never worried about how you were looking. It was fantastic. SheKnows: Not like they had shower booths every ten feet back then. Dean Cain: They didn’t no (laughs). SheKnows: The western, is that a genre you’ve enjoyed before as a fan? whole nine yards on my ranch in Colorado. Also, my father, produced and directed Young Guns. Dean Cain: No. So, it’s like for a guy who should be in a western — I have a ranch. I have a 40-acre ranch in Colorado. I should be able to be in a western. Cain: (laughs) I’m like, ‘yeah!’ Girls, gambling and gunplay – OK, I’m in. This film is a very fun film. It was fun to do. It was fun to watch. It’s got that old western feeling to it. It’s that thing where you want to grab a bag of popcorn and sit down and watch it with a couple people. come on set and he can watch the movie. It’s wonderful. you. Does that sit right by you to be thought of as one of the three men who have played Superman? having to wear the suit. He does the Clark Kent stuff that we would do, but he never has to be Superman. That’s a whole different take and was genius to do, but it’s different Superman. Dean Cain: Oh my God, look at that. character I played more like Christopher Reeve and Clark Kent was much more like George Reeves played it. SheKnows: I totally agree. This was a personal pleasure. Dean Cain: This was a blast. Thank you.